Easy and dynamic website creation! Choose one of the dozens of professional templates. Add text, images, Twitter, Facebook, Videos, PayPal checkout, etc. It’s ready! Your new website is online only in a few minutes. Don’t worry about your web hosting! A cloud hosting is included in your Website Builder plan, in reliable and high tech Cloud Servers, exclusively in Greece! Our specialized Support is at your disposal, not only for technical difficulties you may meet, but for any assistance you may need during your site’s creation. Our templates will amaze you! In your Website Builder you will find dozens of well-designed templates, built by professional web designers, that will make you site stands out! Whatever your idea, in whichever industry belongs your business, you will find the one that meets your needs. It’s so easy, as if you change your clothes! With a simple Drag & Drop, in your language, there is no need for code and technical skills. Add or remove only in a few seconds text, images, social media links, videos, etc. We live in the mobile era! If you don’t want to let your visitors and customers abandon your website, it has to be compatible with all mobile devices. It comes easy with our templates, since they are all responsive, so you can immediately check how displays your mobile site! How do I add a custom domain to my Website Builder plan? You can easily connect your Website Builder plan with a domain you have registered with Papaki or another registrar, by following the steps below. 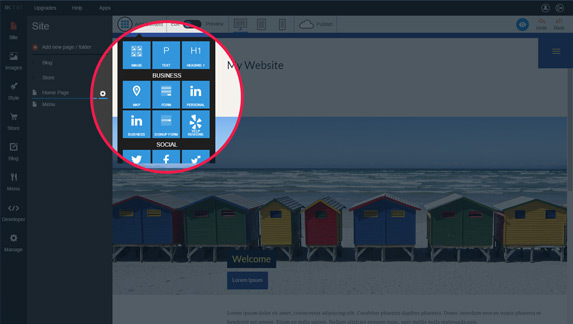 Step 1: Log in your Control Panel at Papaki and go to your Website Builder plan. Then, click on "Edit" under Domain. 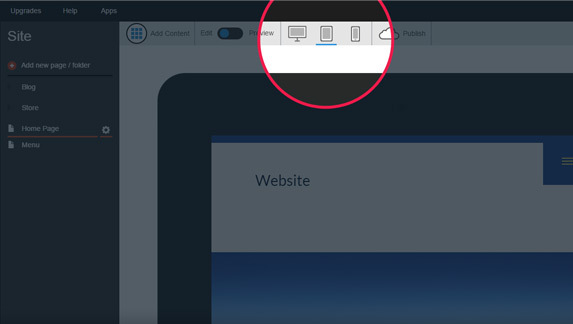 Step 2: Insert the domain you want to connect with your Website Builder plan and click save. To complete the process you need to create a CNAME record for your domain, through a DNS hosting service. Publishing a Website Builder site. Through the editor of your website, click on the "Publish" button. Publishing your site, you make it visible to other users. All your pages will be published, unless you put the status page Inactive or Draft. After publication, your site will be available in the domain that you have added. To see your published site without logging out, open a different browser and enter your domain. Create now your own website!